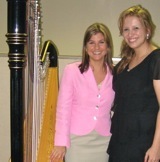 “Lauren Baker is a great harpist! She plays beautifully. She set the perfect tone for our wedding. She was very helpful in our selection of music. It was like icing on the cake for our perfect day!! Many people said the sound of the harp was a beautiful accent to a beautiful ceremony. We received many comments from our guests praising the music during our ceremony and cocktail hour. I almost wish I was a guest rather than the bride so that I could have heard even more. 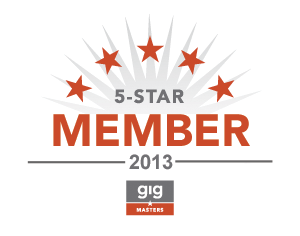 “Thank you for such a tremendous experience. Your music is awe inspiring with a gentle disposition and we were fortunate you played at our wedding. Your music set the mood and made our day magical. Not only do you play incredible music but you were so accommodating when we asked you to play near the pond during the ceremony. “Lauren made our wedding ceremony and cocktail reception truly memorable! Not only is her music amazingly beautiful, she is such a pleasure to work with! She came to our consultation prepared and made great music suggestions. “I’m so happy I chose Lauren to play during my ceremony/cocktail hour at my June 2012 wedding at the Seaport Hotel in Boston. Lauren was very professional and easy to work with – she always responded to my questions right away, and gave me several wonderful piece suggestions for both the ceremony and cocktail hour. 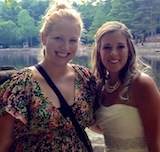 I would recommended Lauren to any bride who is looking to add a touch of elegance to their special day! “Thank you SO much for playing in my sister’s wedding on Sunday. You did a BEAUTIFUL job! I wish you could have heard all the comments all night long – people loved you! 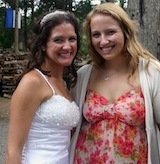 “I found Lauren though our wedding planner Desiree Spinner. Having a harpist play was a special surprise for my husband who’s Mother was a harpist in the Louisville Symphony many years ago. My daughter, the bride, who lives in Seattle was able to go online and listen to Lauren play different selections and than make her personal choices. Lauren was very flexible also with the type of music to be played at the cocktail party. 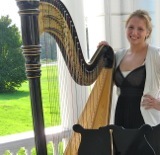 “We hired Lauren Baker (The Modern Harpist) to play at our wedding in August 2013. Our experience working with Lauren was excellent and we would highly recommend her. Lauren played during our ceremony and reception, and was a tremendous addition to the atmosphere. She offers a wide range of music that appeals to a variety of audiences and plays all of it beautifully. “For my wedding I knew I wanted a Harp for the music. I went online and found Lauren, The Modern Harpist. From the start she was easy and great to be in communication with. She made the process of booking her talent super easy! She was so flexible and even drove to Newport, RI for my wedding. Words cannot express how talented she is and how beautiful the music was throughout the ceremony. Everyone of my guests came up to me at the reception and complimented how beautiful the music was. Subscribe to my YouTube channel and see my HD harp videos! © 2019 MODERN HARPIST - PROFESSIONAL HARPIST IN BOSTON. 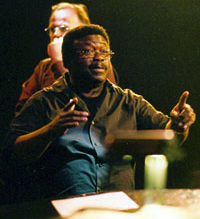 BERKLEE COLLEGE OF MUSIC WITH 12+ YEARS OF EXPERIENCE.